Egypt's election commission delays the announcement of presidential results, looks into appeals over vote counting. Egypt's election commission has delayed the announcement of presidential results, originally scheduled for Thursday. “Egypt’s election commission, headed by Judge Faruq Sultan... has decided to delay the announcement of the presidential election run-off,” AFP quoted the official MENA news agency as having said. The run-off, which took place on June 16 and 17, pitted Muslim Brotherhood candidate Mohamed Morsi against former President Hosni Mubarak's last prime minister, Ahmed Shafiq. 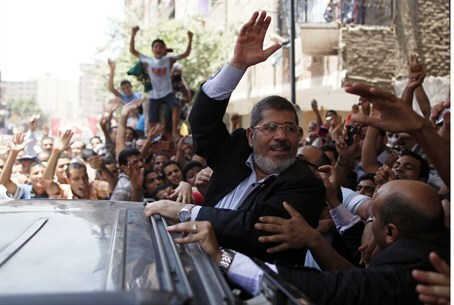 The Muslim Brotherhood declared soon after the election that Morsi had won. Shafiq’s headquarters have also claimed a victory. The election commission said it was looking into appeals from lawyers of both candidates into alleged campaign violations and disputed vote counting. The announcement came amid uncertainty over the health of Mubarak following a flurry of reports about his condition. “He has been placed on an artificial respirator,” the source added. Mubarak was sentenced to life in prison on June 2 for failing to prevent the killings of protesters in the uprising that ousted him last year.